Petbarn Puppy School is a group puppy school conducted by trained and qualified Puppy trainers at selected Petbarn Stores. During the early months positive socialisation and play is vital for the development of your puppy. 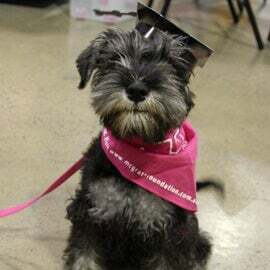 WHY JOIN Petbarn PUPPY SCHOOL? 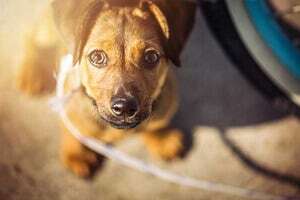 When it comes to training, the early months of your puppy’s life is essential. They will learn vital socialisation and communication skills when they are young and these early life experiences influence how your puppy will play, communicate and learn as they develop into an adult dog. Our Puppy school trainers consist of experienced Greencross Veterinary Nurses and/or qualified dog trainers with a special interest in animal behaviour to help your puppy reach their potential. 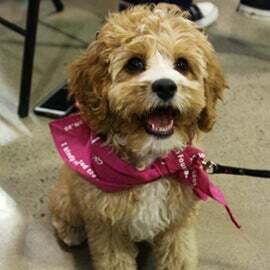 Petbarn Puppy School is a fun and interactive dog training course that will allow your puppy to socialise in a positive environment with dogs of all sizes. Your puppy will be taught basic manners and best behaviour along with vital socialisation and development skills. What is the age range for puppies to join the class? Your puppy should be between the ages of 8-16 weeks old for the first class and must have had at least one vaccination 2 weeks prior to their first group class. How many puppies are in our classes? Our classes will typically have 4-8 puppies in attendance. Is your dog older than 16 weeks? Many of our trainers can offer advanced courses, please make an enquiry and they can advise you of what’s available in your area for older dogs. Our puppy trainers are a combination of Greencross Veterinary Nurses and selected professional dog trainers who have a special interest in animal behaviour and have additional training and experience in Puppy School training. 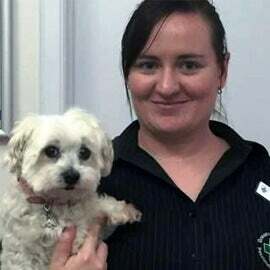 Rhiannon has been a Puppy School trainer for 8 years, a Canine Commandos trainer for 2 years and a vet nurse for 9 years. Rhiannon favourite thing about Puppy School watching the bond between dog and human grow as they put the time in to train their new puppy. 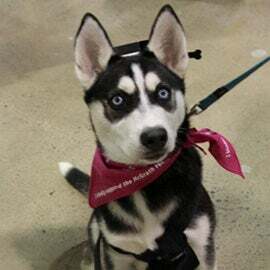 Experience in Vet/pet/training & behaviour: Running puppy school for 4.5 years and currently completing Cert IV in Companion Animal Services through DELTA. Page owns a 12-year-old Mini Schnauzer, a 4-year-old American Staffy and a 9-month-old Rescue German ShortHaired Pointer. Experience in Veterinary Nursing, puppies to adult dogs on training & behaviour. 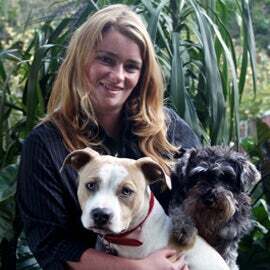 Louise has over 25 years within the animal industry. Louise understands every breed of dog is very different, from stamina, sensory perception to size and ensures training is fun for both you, your family and your puppy. 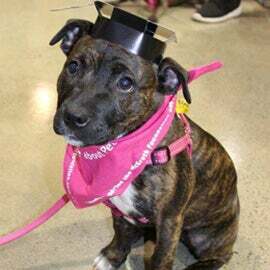 Our puppy school graduates have successfully completed their Petbarn Puppy Training course with and are on the way to becoming well socialised adult dogs. Each class runs for approximately one hour. How many weeks does the Petbarn Puppy School go for? Our schools run for 4 or 5 weeks depending on the location and the trainer. Our 5 week courses are human only in the first week. Your local trainer will discuss the with you. A puppy must be between the ages of 8 – 16 weeks as of the first week of class. Age is based on the time of the first class not the time of booking. A puppy may not join puppy school if they will be over the age of 16 weeks at the time of the first class. Are there any other enrolment requirements? Yes. A puppy must have had at least one vaccine a minimum of 2 weeks prior to the first group class (week 2) and be up to date with all vaccines, flea prevention, worming and tick prevention (where appropriate). 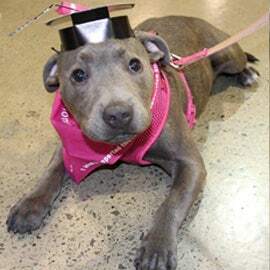 In the event that you are unable to make a class you can contact the puppy school trainer to seek advice and homework. No partial refunds will be given for a missed class and missed classes cannot be made up at a later date by joining in on another puppy school class due to puppy ages, development and socialisation. Exceptional circumstances will be considered on a case by case basis. 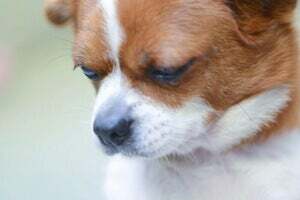 What happens if my puppy is sick and cannot come? If your puppy is sick and cannot come to class you may attend class without your puppy. The puppy school instructor will give homework and give advice on what to do in this situation. Can my puppy come if it has been desexed that week? Yes, however the puppy must remain as quiet as possible. 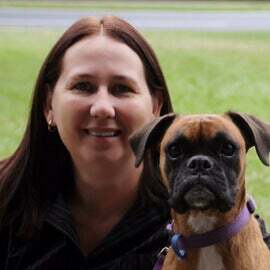 The puppy school trainer will adjust the class play sessions and structure to accommodate for the puppy. If you are unsure if your puppy should attend puppy school after desexing you should seek Veterinary advice or speak to your puppy school trainer. 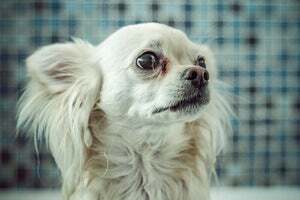 Can a small dog that is a little older join? No. Just because the puppy looks young and small does not mean they are in the same development stage. The critical socialisation development phase for puppies is up to 16 weeks. It is vital that they learn to communicate and socialise with other dogs in a positive safe environment. Having older puppies, regardless of their size can severely impact on a young puppy’s social development. Can different Breeds (small and large) be in the same class? Yes and it is recommended. It is important that puppies are exposed to other puppies of all different sizes and Breed to help develop positive social skills. Register your interest in Puppy School and your nearest trainer will contact you to help you and your puppy find a school. Greencross Vets Best Behaviour Puppy Classes are available from selected Petbarn locations. Your closest trainer will contact you. How can I stop my puppy from chewing? Your puppy is chewing all your favourite shoes and your furniture is covered in drool. Don’t panic. There is a solution. 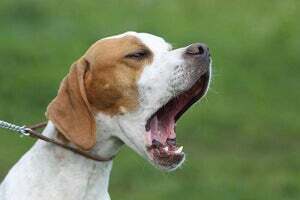 Dogs, like their owners, have strong urges to communicate vocally. They do this by barking, whining, howling and growling. Sure, it can be annoying, but forcing them into silence would be just as cruel as constantly shooshing an inquisitive child. 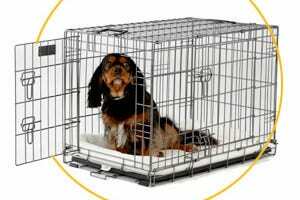 Your puppy’s crate is probably one of the most important purchases you can make. It is their home inside your home. Are you bleary eyed and reaching for your third cup of coffee? Here are some sure fire solutions to help settle your puppy so that they sleep through the night… and you can, too! How do I teach my puppy to walk on a lead? Before your puppy learns to walk on a lead, you’re going to have to show a little leadership. While some pups get it straight away, others take a little longer. Just remember: patience is the key, as having a collar and lead attached for the first time can be confusing. My puppy is afraid of other dogs. What should I do? It’s often said that dogs are social animals, so what happens if your little pup is withdrawn and feels fear around other dogs? Here are some things to try if the presence of another dog makes your puppy quake in its boots.